It seems as though Fortnite players are in for a white Christmas wherever they live. Just days before the end of the battle royale’s sixth season, players are spotting the very first snow flakes falling over the game’s spawn island. 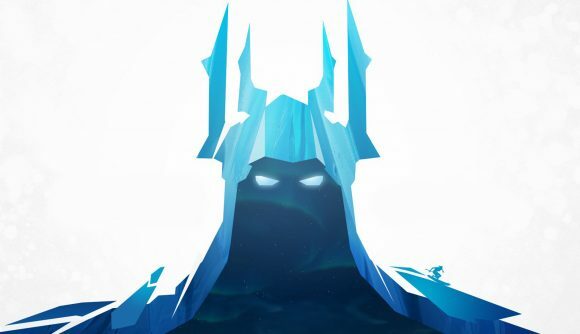 Rumours of a Fortnite snowstorm have been circling for weeks, and have only heightened since the appearance of a mysterious storm cloud on the horizon. The nearest landmass to that cloud just so happens to be the island on which players spawn before the start of a game, explaining why this is the first spot where snowflakes are beginning to fall. You can take a look at those opening flurries in the video posted below (via FortniteBR on Twitter). At the moment, it’s just a very light snowfall, but be prepared for the snow to start coming thick and fast – by the beginning of Fortnite Season 7 later this week, the entire island will need to be covered in enough snow to allow players to start skiing their way around the map. The snowstorm is thought to coincide with the arrival of a new wintery biome of the island’s south-west coast. Last week, players discovered that what they had thought was just a snowstorm was in fact a massive iceberg on a collision course with the rest of the map. The Fortnite Season 7 release date is this week – the next set of changes is expected on Thursday, meaning you’ve only got a few days to finish off your Season 6 battle pass. If you’re planning to play over the next few days, make sure to wrap up warm as the snow begins to spread over the rest of the island.